The Phoenixville Public Library is a non-profit organization with the mission of providing access to educational, cultural, and recreational resources for the community it serves. The library is currently seeking part-time circulation assistant who will report to the Circulation Manager. Part-time circulation assistants are responsible for performing all circulation duties in a timely, efficient manner. * Collect patron fines and fees and make change as needed. * Update computer records, as requested. * Assisting patrons with finding library materials, providing reader’s advisory, answering basic computer queries, and monitoring appropriate use of the facility. * Inspect returned materials for damage. * Be familiar with all print and other items located at the Circulation Desks, for public or staff use. * Maintain neatness and orderliness at the Desks at all times. * Perform circulation procedures effectively and accurately according to the principles of quality customer service. * Greets, direct, and provide information to library customers and performs a variety of clerical tasks related to the processing, sorting and circulation of library materials. * Respond to incoming telephone calls and provide basic assistance with directional, instructional and informational inquiries at the circulation desks and public workstations. * Candidates must have the ability to work in a fast-paced environment and have excellent customer service and computer skills. * Keep abreast of all System changes and improvements. * Perform assigned tasks and projects completely and in a timely manner. * Handle financial transactions accurately. * Respond to requests for help from customers. * Keep pace with all library policies, staff meeting minutes and changes in Procedure Manual. * High School Diploma or General Education Degree (GED), some college preferred. * Basic office skills (typing, filing, answering phones, etc.). * Previous experience working in library with computerized systems (preferred). * Basics knowledge and use of computers, e-mail, and the internet. * Some knowledge of reference materials and other resources, as well as the ability to use computers to access these resources including the Internet, is required. While performing the duties of this position, the employee is frequently required to sit; walk; stand; bend at the waist while working; kneel, stoop, crouch or squat; talk or hear; handle and lift up to 25 pounds; push a cart of books that weighs up to 125 pounds; and sit at a computer terminal for up to 4 hours at a time. Occasionally, the employee will need to work with arms above shoulders or reach above shoulder height. * Ability to read and alphabetize and place items in numeric order. Tuesday and Friday afternoons from 1 P.M. to 5 P.M. as well as flexibility to cover open shifts as required. One eight hour shift on one Saturday a month is required & additionally one eight hour shift on a fifth Saturday approximately every 8-9 months. The Phoenixville Public Library currently seeks three (3) Trustees to be seated on its Board of Trustees beginning July 2019. As a Trustee, the successful applicants will be responsible for oversight of the library, serving on a board of nine (9). All positions fulfill a three (3) year term. As Trustees, the applicants are expected to act in the best interest of the Phoenixville Public Library, in promotion of and in furtherance of the Library’s Mission, which is to provide access to information and services that address the educational, cultural, and recreational needs of the community the library serves. The applicants are expected to familiarize themselves with the bylaws, policies, and operations of the library. Prior non-profit experience, particularly with regard to finance/accounting is preferred, but not required. Further information about the Phoenixville Public Library can be found on its website at www.phoenixvillelibrary.org. Board members are expected to be zealous advocates on our behalf, to be enthusiastic communicators of our mission and vision, and to play an integral role in our leadership. Board Meeting Attendance –Monthly meeting attendance of approximately 2.5 hours. Committee Participation – Actively participate on one or more committees. Recruitment – Identify strong candidates for committee work, community advocacy, or fund-raising whom will represent Phoenixville Public Library. Annual Support – Make a personal annual gift at an appropriate level outside of major event attendance. Applications should include a letter addressed to Ms. Lorenzi and Dr. Fegley explaining why the applicant wishes to be a Library Trustee and summarizing the applicant’s qualifications and experience. Resumes and references are required. OBJECTIVE: To set up for, assist at, and clean up after the Library’s special programs for adults. * Setting up chairs, tables, refreshments for Library programs according to instructions of Adult Services Director and program presenter. * Setting up and troubleshooting audio/visual aids (laptop, projector, sound system, whiteboard, etc.) needed by the program presenter. * Operating Library’s camcorder to record designated presentations. * Ushering and maintaining order in the room during programs. * Communicating an accurate head count of attendees to Adult Services Director. * Putting away chairs, tables, AV equipment, etc., following program. * Physical stamina with ability to lift and move up to 40 lbs. of equipment. * Tech savviness for setting up and troubleshooting computer and AV system issues. * Ability to interact well with the public and to express one’s self effectively. * An orientation will be provided by the Adult Services Director, with on-the-job follow-ups as needed. All Library volunteer positions require criminal background checks, both Federal and State, as well as child abuse clearances. Reimbursement for clearances will be made to the successful applicant after 6 months of volunteer work with the Library. To apply, contact Mark Pinto, Adult Services Director, at 610-933-3013 x132 or mpinto@ccls.org. We will be rolling out these passes during the month of June as we receive them. The passes will be available for FREE 3-day checkout to patrons age 18 or older with an up-to-date library card in good standing. Holds may be placed in person or by phone to 610-933-3013 x121. For more information, call 610-933-3013 x132 or e-mail mpinto@ccls.org. Are you looking for a rewarding volunteer experience? The Phoenixville Public Library Adult Services Department is looking for additional individuals to instruct patrons one-on-one in the basics of using computers and the Internet. Fluency in the use of computers, laptops, smartphones, standard office productivity software, e-mail, the Web, and social networking tools is required, as are strong communication and interpersonal skills, friendliness, patience, and approachability. Availability of two hours a week is desired. Daytime and evening hours are available. Applicant must submit to criminal background checks and child abuse clearance. If interested, or for more information, see Mark Pinto, Adult Services Director, call 610-933-3013, Ext. 132 or e-mail mpinto@ccls.org. Effective Monday, November 28, the Library will open daily at 9:30 AM. Closing times will remain the same. Need Internet access at home, on vacation, or on the road for your business? Phoenixville Public Library has partnered with T-Mobile to offer a limited number of mobile hotspots to our patrons for a nominal fee. 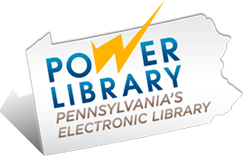 The Library hotspot program allows Chester County Library System card holders to access unlimited, high-speed Internet service anywhere a T-Mobile signal can be received. Connect up to ten devices at a time, including desktops, laptops, tablets, smartphones, etc. Phoenixville Library offers hotspots for 7 or 14 day loan periods. Rental fee is $14.00 for 7 days or $28.00 for 14 days. Hotspots must be picked up from and returned to the Phoenixville Library’s Adult Circulation Desk, and are not reservable in advance. Eligible borrowers must be at least 18 years of age, have an up-to-date library card and registration, have a library account in good standing (no fines or fees owed or other restrictions), and must pay the rental fee at the time of pickup. Hotpots MAY NOT be returned to the outside bookdrops ($5.00 fine will apply). For more information, call 610-933-3013 x122 or x132. Mobile printing is now available at Phoenixville Public Library. With the Library’s new MobilePrint Service, you can use your personal computer or mobile device to print to the Library’s printers from anywhere! Did your home printer crash? Are you on the go and need to print something from your smartphone or tablet? Simply submit the documents for printing and come to the Library to release and pick them up, using an e-mail address. To print from a home or office laptop or desktop, visit http://www.printeron.net/ppl/secondavenue. To print from a tablet or smartphone app, install the PrinterOn app, available for free from your device’s app ‘store’, and search for Phoenixville. You may also e-mail from any device to the Library’s print system at ppl-secondavenue-bw@printspots.com (black and white printouts) or ppl-secondavenue-color@printspots.com (color printouts). Regular printing charges apply. For more information, call 610-933-3013 x132. The Library recently received a donation of a desktop video magnifier, for use in enlarging printed type, pictures, handwriting, and small details. It is available for patron use at the Information Desk in the Adult Library. Magnification level and display colors can be adjusted, and the device is simple to operate. For more information, call 610-933-3013 x132. Due to the inclement weather, the Library is closed today, Tuesday, December 10. We expect to reopen at 9 AM on Wednesday, December 11.